Coming to NTU? Find out what you need to do before you arrive, including accepting your offer, securing your visa, enrolling, and finding accommodation. 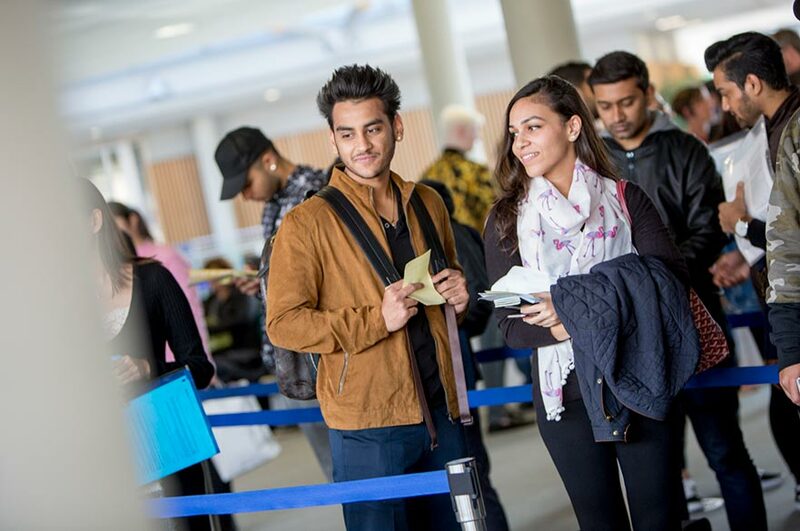 In this section, we’ve put together all the information you'll need to start your enrolment, plan your journey to Nottingham and prepare for your studies. You can also download our International Welcome Guide which contains invaluable information about living in the UK. After you’ve successfully applied and been accepted to do your study abroad period at NTU we will send you additional information about what to do next. Students are not issued with an acceptance letter unless you require one for visa or financial purposes. If your application is successful, you will receive an email confirmation and your NTU user ID. If you require an acceptance letter please contact us. Visit our enrolment page and click the 'get or reset password' link to retrieve your password. Use this password to log into online enrolment along with your NTU user ID, which you can find in your acceptance email. Once you have your password, use your NTU user ID and this password to log in and complete your online enrolment. You need to ensure you have completed enrolment within 14 days of your course start date. If you are applying from outside of the European Union, you may need a short-term study visa if you’re staying for up to 6 months, or a Tier 4 visa if you’re staying for more than 6 months in the UK. You can check which visa you need and our International Student Support team will send you the necessary documents, or help you with your visa application. We have a dedicated accommodation office who will assist you in finding suitable housing. Once your study abroad place is confirmed, you can contact the accommodation team and start the booking process. There are a number of options available, for a range of budgets, both on and off campus as well as private rentals, and the team can help find the best match for you. Please note that unfortunately we are unable to guarantee a place in university accommodation. In addition, our most popular residences get booked up quickly so it’s a good idea to apply as early as possible. You can find out how to get from where you arrive in the UK to NTU on the planning your journey page. We also arrange a free bus service to NTU for our new students who arrive at Heathrow on our specified arrival dates. You can find out more on our airport pickup service page.